At the end of the 1920s, a group of young French Armenian writers started a movement towards the renewal of Armenian literature. The innovative works and theoretical writings of the so-called “Paris boys” would mark the beginning of Diasporan literature. One of the most famous names in that generation was Shahan Shahnour. Born Shahnour Kerestejian in Scutari (Üsküdar), a district of Constantinople (Istanbul) on August 3, 1903, the future writer first attended the Semerjian School in Scutari, until 1916, and then the Berberian School. His pen name would become a combination of his first name and the first name of the Berberian School’s principal, the philosopher and educator Shahan Berberian (1891-1956). He showed graphic talent and his first contributions to the Armenian press in Constantinople were drawings. He moved to Paris in 1923 and worked as a photographer. He followed courses at the Sorbonne from 1928-1932. He shocked the Armenian literary world with the publication of his first literary work, the novel Retreat without Song (Նահանջը առանց երգի), first in installments in the daily Haratch (1928-1929) and then as a book (1929). Branded as “the novel of the Diaspora,” it depicted the life of a group of Armenian immigrants in France and their process of assimilation and loss of identity. It was followed by a heated controversy concerning its ideological underpinnings, its denial of tradition, and various passages deemed as immoral for the standards of the time. Shahnour became a leading member of the group of writers called “Menk” (“We”), which published the literary journal of the same name from 1931-1933, and published a collection of short stories in 1933, The Betrayal of the Resurrecting Gods (Յարալէզներու դաւաճանութիւնը). He would continue writing for the French Armenian press until the 1930s, and his essays did not lack polemical overtones. However, health problems started in 1936 with the beginning of osteolysis (degeneration and destruction of bone tissue). The condition would take a turn for the worse after a botched surgery in 1939. For the next two decades, Shahnour, pretty much disabled, would wander through hospitals and shelters in different French cities, surviving with the help of a few Armenian and French friends. Finally, in 1959 he would find a safe place at the Armenian Home of Saint-Raphael, in the south of France, where he remained until the end of his life. Despite his health issues, Shahnour continued writing. Although he abandoned Armenian literature for a while, he wrote poetry in French under the pseudonym of Armen Lubin that reflected his condition. His poetry, published in five collections from 1942-1957, earned him the praise of leading French writers and several literary prizes well into the 1960s. (A complete Armenian translation appeared in 2007.) 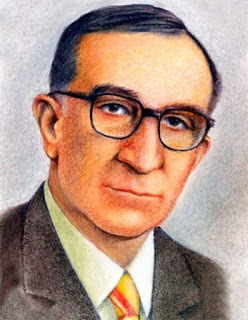 He returned to Armenian letters in 1956 and forged a friendship with Arpik Missakian, publisher of Haratch, who would assist him for the rest of his life. Although his disability precluded him from writing literature, he focused on essay writing, and collected much of his old and new works in several collections: The Sunday Issue of My Newspaper (1958), A Couple of Red Notebooks (1967), The Open Register (1971), and The Fire at My Side (1973). The popularity brought by his old works continued alive with the readers until the end of his life and beyond; Retreat without Song would have four more editions between 1948 and 1994, and was posthumously translated into English (1981) and French (2009). Shahnour’s life came to an end on August 20, 1974, in the hospital of Saint-Raphael. He was buried in the cemetery of Pere-Lachaise, in Paris, along Shavarsh Missakian, the founding publisher and editor of Haratch, the newspaper that had launched him to fame.